SOUTH JORDAN, UTAH — January 31, 2019 — Landmark Home Warranty was recently given the Best Regional Home Warranty award by industry expert Home Warranty Reviews. This is the fourth time Landmark has won the title. The year 2019 truly started with a bang for the home warranty service provider, as this award comes right on the heels of another: Best Company’s Consumer Choice Award. Chris Smith, Landmark Home Warranty president, said that the company is honored to be awarded such prestigious titles. Landmark’s win was partially based on the number of positive reviews the company received and how well they addressed customer complaints in 2018. Other factors include the credibility of the company, online and social presence, and the digital user experience. Landmark Home Warranty launched a new warranty management system in early 2018 that catapulted the company into having some of the best warranty software in the industry. This system simplifies the claim process, which helps homeowners get their covered systems and appliances repaired or replaced quickly. 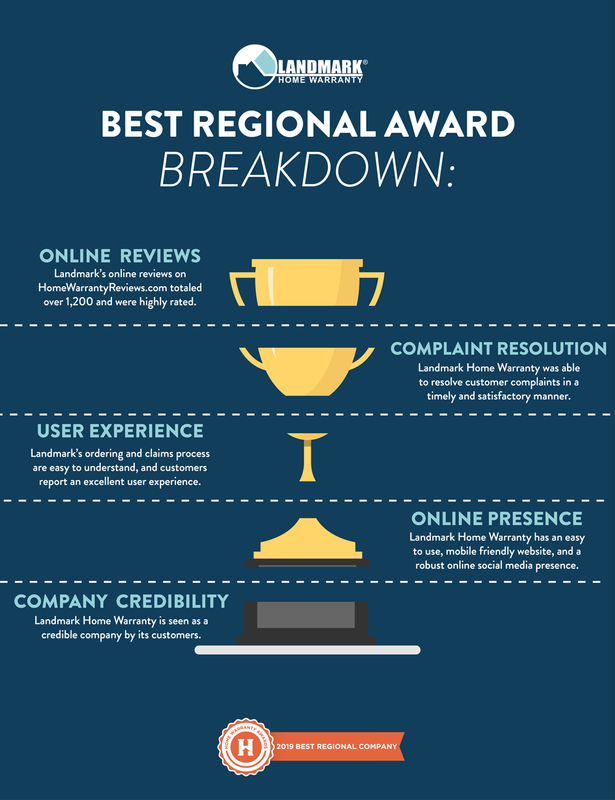 This is the fourth time Landmark Home Warranty has been named Best Regional Home Warranty Company. Landmark won in 2014, 2015, and 2016, consecutively. Lawrence Flitton, Vice President of Operations, believes that these technological advancements are part of what helped Landmark Home Warranty win again in 2018. Landmark Home Warranty does have rigorous goals and processes to ensure that customers have an amazing service experience when using their home warranty coverage. This includes an entire team dedicated to working one-on-one with customers to retain these high satisfaction goals. In the last few years, Landmark Home Warranty has also implemented numerous other technological advancements. These include a new state of the art website and an email and texting software that helps homeowners, contractors, and claims managers stay connected. Jeff Thompson, Sales and Marketing Director, said that this technology has helped the entire company work more efficiently and help provide the great customer service for which Landmark is known. Landmark Home Warranty is a leading regional home warranty company, founded in 2005, and provides comprehensive home warranty coverage for homes in Arizona, Idaho, Nevada, Oregon, Texas, and Utah. Coverage includes repairs and replacements of home’s systems and appliances including HVAC, electrical, and plumbing. 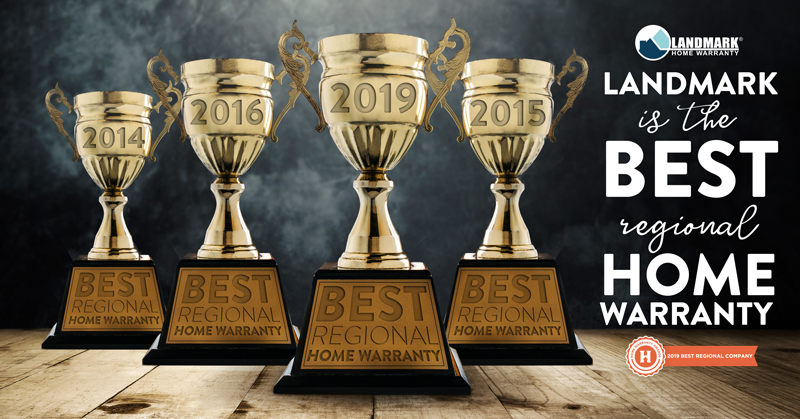 Landmark Home Warranty was named one the Best Regional Home Warranty in 2014, 2015, 2016 and 2019 by Home Warranty Reviews, and the Consumer’s Choice Award by Best Company in 2019. It has 200 employees and is based in South Jordan, Utah.